It took a determined Yankee to teach Texans that they could eat – and enjoy – something besides their beloved barbecue or chicken-fried steak. Born in 1906 in upstate New York, Helen Corbitt graduated from Skidmore College with a degree in home economics. She thought about entering medical school, but the Depression sent her down a much different path. Following what Helen called "my hospital days" as a dietician in New Jersey and New York, the University of Texas came calling. In 1940, she accepted a position in Austin teaching catering and restaurant management. Two years later, Helen left for a job at the Houston Country Club. At first unsure about remaining in Texas, she finally decided to stay. In her first cookbook, Helen Corbitt's Cookbook, she singled out this time as "the most happy days of my food career." After a short stint at Joske's of Houston, she returned to Austin in the early 1950s to manage the Driskill Hotel's dining room and catering. Politicians who ate at the venerable hotel appreciated food that looked as good as it tasted. 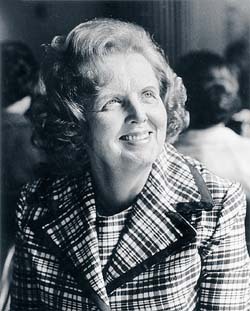 Helen's recipes even appeared on White House menus during Lyndon Baines Johnson's presidency. Stanley Marcus brought her to Dallas in 1955 to direct Neiman Marcus' food-services department. Businessmen and shoppers alike flocked to the flagship store's Zodiac Room (now called The Zodiac) to enjoy lunch that started with Helen's signature touch of chicken consommé in tiny cups. Some of her recipes remain on the menu to this day. Among her most famous food innovations were Texas Caviar (using black-eyed peas), Snowballs (frosted cake cubes rolled in coconut), Flowerpots (Baked Alaska in small clay pots), and Poppy-seed Dressing. Helen was credited with creating this tasty dressing, but denied the accolades, stating that she only popularized it. Helen Corbitt died on January 16, 1978. Stanley Marcus compared her to a famous fashion designer of the time, calling her "the Balenciaga of Food." The Duke of Windsor, who had enjoyed Helen's food and conversation at a luncheon in Houston, pronounced her dishes "fit for a king!" Responsible for spearheading a food revolution in her adopted state, Helen once said, "Life, and especially Texas, has been good to this Yankee girl." Her influence changed Texans' tastes forever. "Where it originated I have no idea. I did popularize it when I realized that on the best grapefruit in the whole wide world (Texas grapefruit) it was the most delectable dressing imaginable." Mix sugar, mustard, salt, and vinegar. Add onion juice and stir it in thoroughly. Add oil slowly, stirring constantly. Continue to beat until the mixture is thick. Add poppy seeds and mix for a few minutes. Store in a cool place, or in the refrigerator. Makes 3-1/2 cups. Helen's Note: "This recipe is easier to make when using an electric mixer or blender, using medium speed, but it can also be made by hand using a rotary beater. The onion juice is obtained by grating a large white onion on the fine side of a grater, or by putting the onion in a blender, then straining the juice. If the dressing separates, pour off the clear part and start over, adding the poppy-seed mixture slowly. It won't separate unless it becomes too cold or too hot. The dressing is delicious on fruit salads of any kind." "Stuffed fish of any kind makes this a company dish! You may use snapper, trout, or flounder." Mix the shrimp, eggs, and 1/2 cup of the cream together. Set aside. Melt the butter, add mushrooms and chives, and sauté until soft. Add flour and cook until bubbly. Add shrimp mixture and cook until thick. Place fish in a buttered baking dish and spread the stuffing mixture between the two sides of the fish. Pour over the remaining cream and sprinkle with salt and paprika. Add sherry and bake at 350°F for 45 minutes. Serve with lime quarters. Makes 8 servings. Helen's Note: "If you use a smaller fish (the 1/2- to 3/4-pound size are best), slit along the backbone and cut the flesh of the fish away from the bone but leave intact. Spoon as much stuffing into slit as possible." "The most talked about cake at Neiman Marcus." Add 1/2 cup of the sugar to flour. Sift together 4 times. Add salt to egg whites and beat with flat wire whisk or rotary eggbeater until foamy. Sprinkle cream of tartar over eggs and continue beating to soft-peak stage. Add the remaining cup of sugar by sprinkling 1/4 cup at a time over egg whites and blending carefully, about 20 strokes each time. Fold in flavorings. Sift flour-sugar mixture over egg whites about 1/4 at a time and fold in lightly, about 10 strokes each time. Pour into ungreased round 10-inch tube pan. Bake at 350°F for 35 to 45 minutes. Remove from oven and invert pan on wire rack. Ice with Butter Icing (add powdered coffee to icing if desired). Sprinkle generously with toasted almonds. Cream butter. Add salt and sugar, a small amount at a time, beating continuously. Add milk as needed, and flavoring. Beat until light and fluffy. Helen's Note: "Vary your flavors by adding 2 tablespoons of powdered coffee, or you can add 2 squares of melted bitter chocolate."